Completed B.Sc(N) in 2003 and M.Sc(N) in 2008 from Sri Venkateswara Institute of Medical Sciences, Tirupati, A.P. Worked in St. Johns National Academy of Health Sciences & M.S. 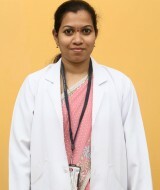 Ramaiah Institute of Nursing Education & Research Centre as a Lecturer. Later Joined in Vydehi and working as Asst. Professor.